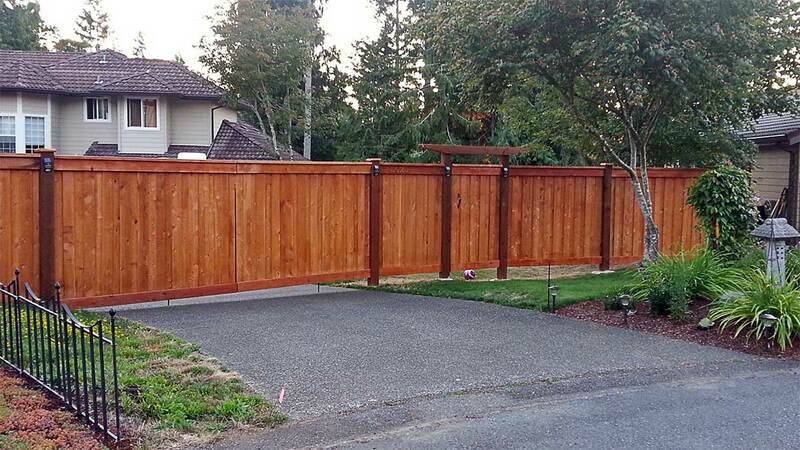 AJB Landscaping & Fence removed an aging fence and bamboo infestation, replacing it with this new fence and retaining wall, fresh sod and landscape beds. 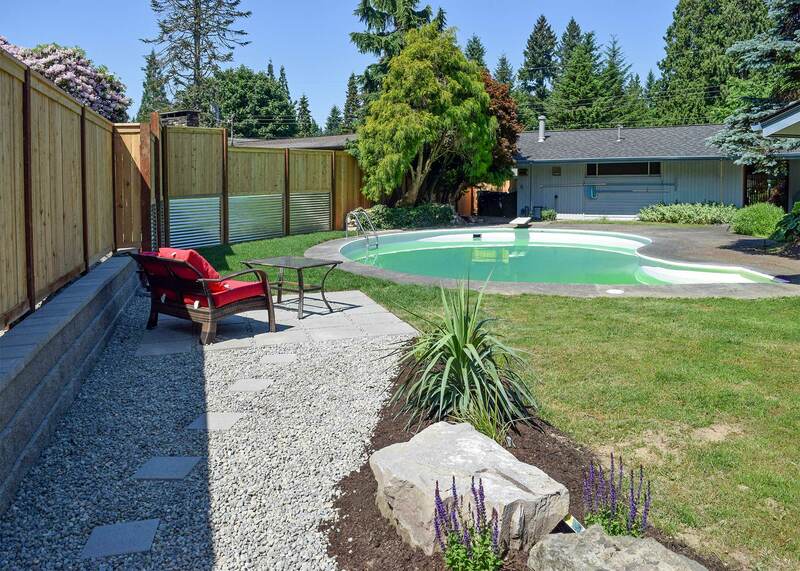 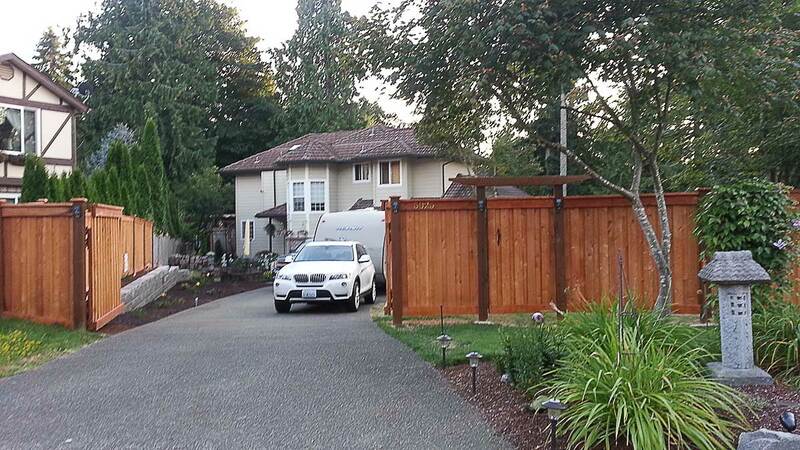 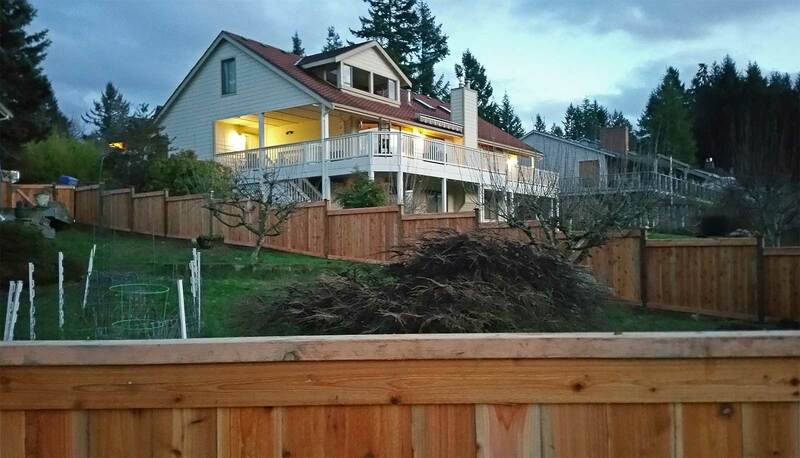 This step-down fence in Steilacoom maintains a level surface on the top while confirming to the grade of the hill. 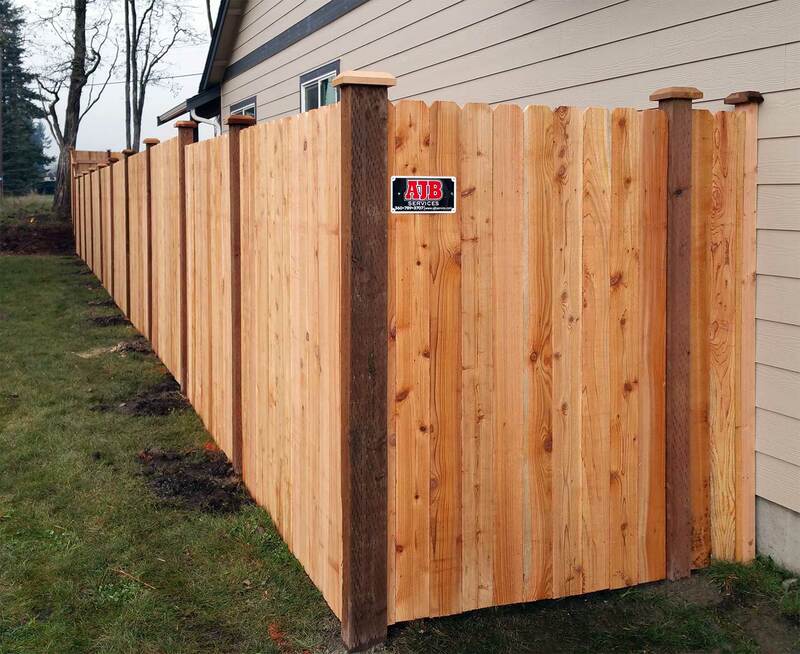 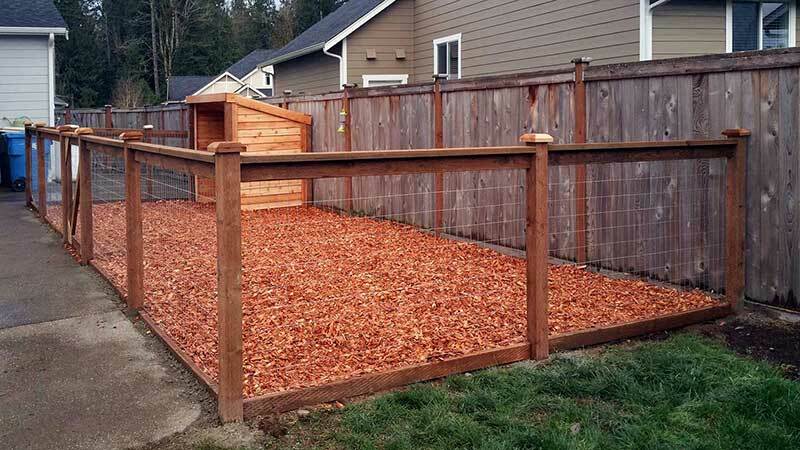 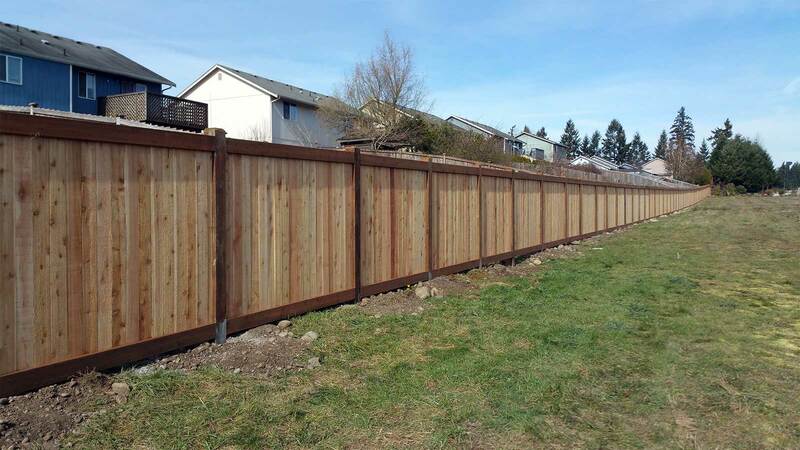 Cedar fence with scalloped top profile in Rochester, Washington. 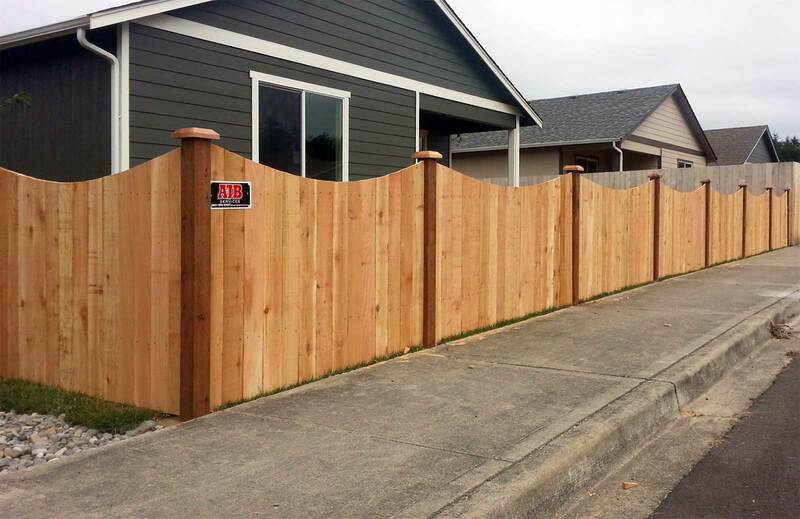 Click for a larger view.